Wow ! This looks so fresh & wholesome !! 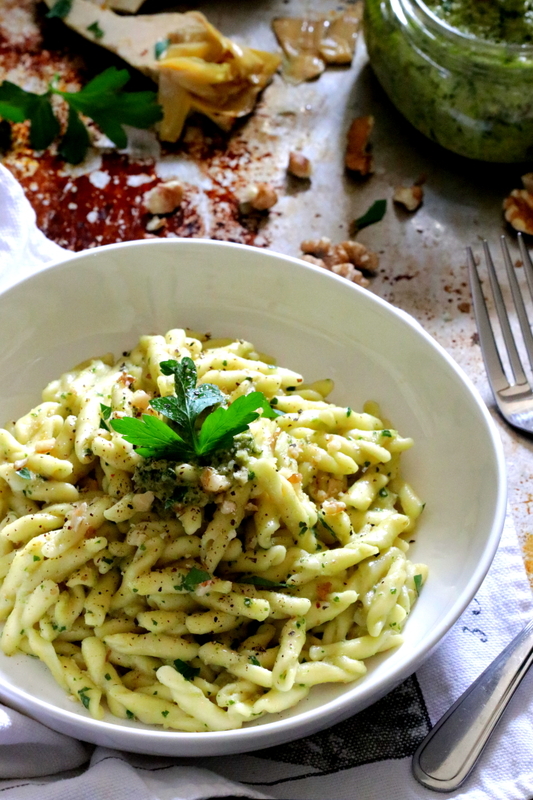 Thanks Megala…it’s a wonderful pesto sauce with so many ways to enjoy it! I’m sure you already know… I will have to try this soon! Love, love your photos here! What is the name of the pasta your are using in the photo here? The type of pasta I used is called “Trucchetti” which easily translates to “tricks” and it’s made with durum wheat semolina flour. My guess to the unusual naming of the pasta would be the swirl in the noodle that tricks and traps the sauce in its crevice? thanks so much Annika and I hope you get to try it! I’m a huge artichoke fan. 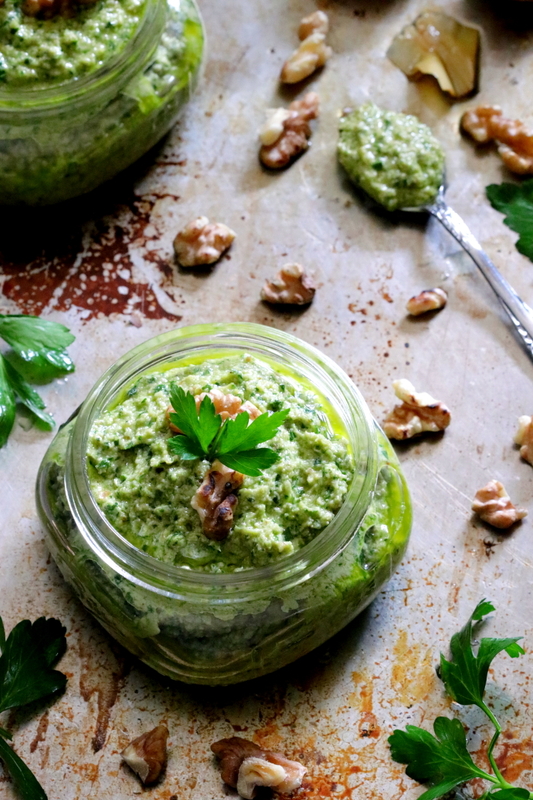 Love the idea of this pesto! Thanks Ronit, it’s just perfect for quick and easy meals! My family loves it! This looks and sounds delicious! I had no idea that pesto could be made with artichokes. I’ll have to mix things up a bit and give it a try! Starr it’s just as simply as the more common basil pesto and there so much we can use it for and quite convenient to have around! Looks delicious! Will definitely be making this soon. Glad to hear you like it…it’s one of those easy and yummy go to recipes! This sounds so wonderful Marisa! Thank you Lyn…there is just so much we can use it for and makes dinner time easy and fuss free! Well I must say that this is one kind of pesto I’ve never made! I can only imagine how delicious it is. I’d spread it on bread! That’s exactly what I did today with my leftover artichoke pesto…spread it in a panini for a new recipe coming soon? 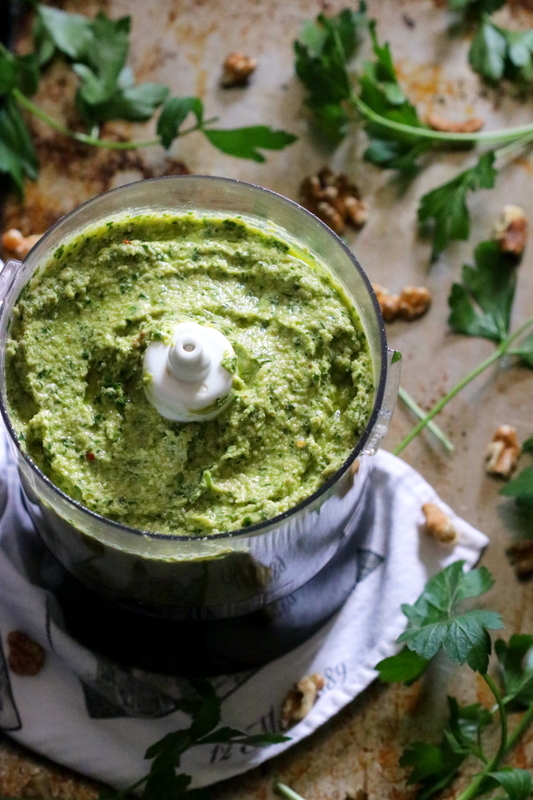 I adore pesto for how easy it is to make and there is so much we can use it for! 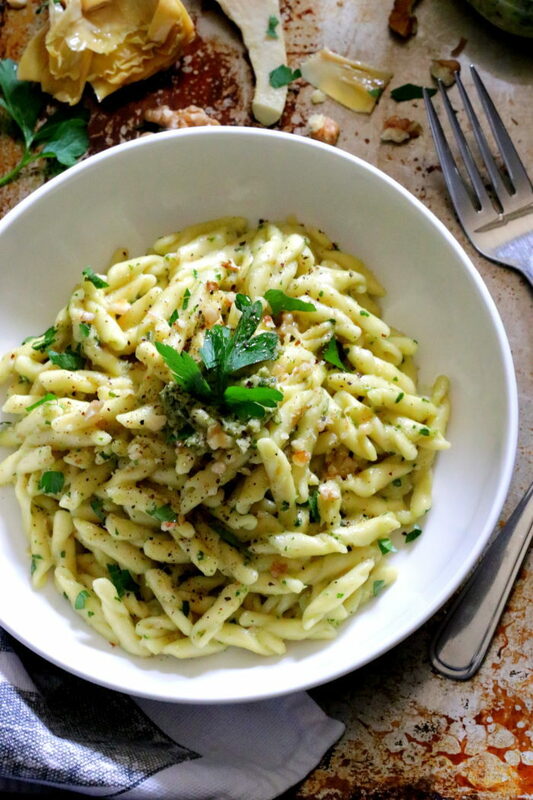 Thank you Paula…it’s always great to have a good pesto on hand for quick meal ideas! Thanks for sharing this new idea for pesto, it sounds great. I agree with you about Trucchetti pasta…their shape definitely grabs hold of a sauce like this perfectly. Hi Karen, it’s an easy go to recipe and perfect for a quick pasta craving! 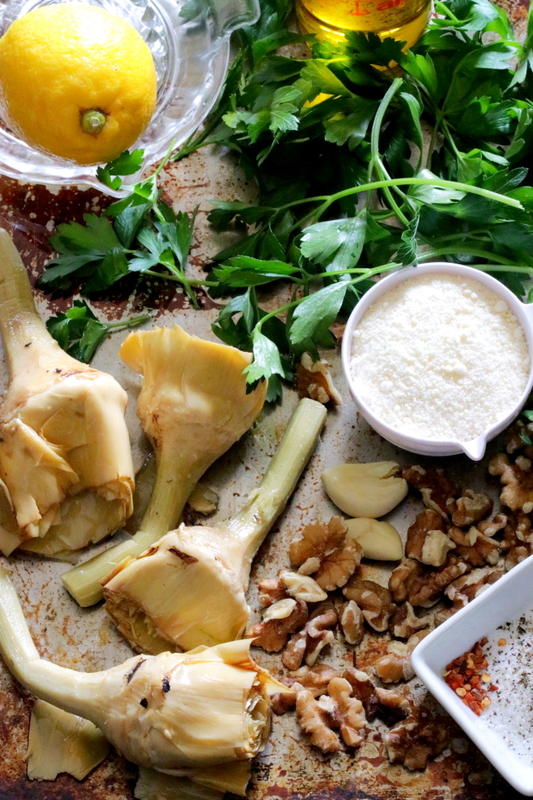 I absolutely love this recipe, especially since you do not have to prepare artichokes. Great for summer or any entertaining. So happy to hear you like it Paula! Using pre-prepared artichokes sure takes the fuss out of making this pesto…I always like to have a jar on hand? This looks so delicious! I can’t wait to try it! I love your blog! It’s such a flavourful sauce that you’ll find many usages for it! Thanks Kelly!